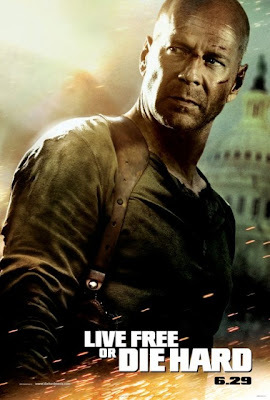 My wife and I saw "Live Free or Die Hard" starring Bruce Willis on July 7, 2007 (7-7-07). The movie was pretty good, and the special effects were great. At times, it was over exegorated but that's what you get with a Die Hard action movie. I think this was the best of the Die Hard movies.